Brownells had the most announcements of anyone I visited here at SHOT SHOW. It took me most of one morning just gathering the info on their SHOT SHOW releases. They are heavy on their RETRO line, which I think is pretty cool. I am finally old enough to appreciate it. These are all too new […] Read More … The post [SHOT 2019] Brownells Releases New Retro, and New Optics appeared first on The Firearm Blog. Anyone who is interested in long-range and precision shooting probably knows about Norma. Swedish company, it was founded in 1902 by Enger brothers from Oslo, Norway, who had founded Norma Projektilfabrik A/S in Norway a few years earlier. 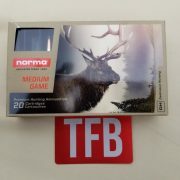 Norma is world famous for their high quality hinting ammunition. At the 2019 Shot Show Norma presented its […] Read More … The post [SHOT 2019] Norma Presents Bond Strike Extreme Ammunition and new 9mm rounds appeared first on The Firearm Blog. Brownells had The most announcements of anyone I visited here at SHOT SHOW. It took me most of one morning just gathering the info on their SHOT SHOW releases. They are heavy on their RETRO line, which I think is pretty cool. I am finally old enough to appreciate it. 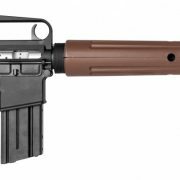 These are all too new […] Read More … The post [SHOT 2019] Brownells Releases New Retro, and New New appeared first on The Firearm Blog. 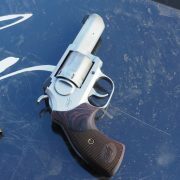 Revolver evolver At range day this year, I took the opportunity to shoot some new handguns from Kimber. First up was their new K6s DASA 3″ and 2″ revolver. As the name intimates, this revolver has an exposed hammer that can be manually cocked for single action, as well as a 3″ barrel. Trigger pull […] Read More … The post [SHOT 2019] At the range and the show with new handguns from Kimber appeared first on The Firearm Blog. At the 2019 SHOT Show Beretta debuted a few new color combos for their M9A3 pistols as well as a new 92G Elite model. They also released new camo patterns for their shotguns and an all new premium line of shotguns. New Shotgun Camo patterns Beretta released new camo patterns for their A400 Xtreme Plus and […] Read More … The post [SHOT 2019] What’s New From Beretta appeared first on The Firearm Blog. anyway to have read it later service (pocket / instapaper) integration into koreader? kindle paperwhite 4 user here; hopefully will have a jailbroken kindle by the weekend. anyway to get pocket/instapaper integration / sync to koreader? if so this would be *amazing*... its one of the best features of the kobo that the kindle obviously doesn't support (i know about the services that send you a digest) but would be nice to have a constantly up to date two way sync going; didnt seem to see anything that would do that. During the SHOT Show 2019 Bond Arms has introduced two new firearms – an aluminum framed derringer and the longer barreled version of their Bullpup9 pistol called Bullpup9L. Both guns have some really interesting features. Let’s take a closer look. Even with the longer slide, frame and barrel, the Bullpup9L has an overall length of […] Read More … The post [SHOT 2019] BOND ARMS Bullpup9L Pistol and Aluminum Framed Derringer appeared first on The Firearm Blog. Super7 has released five figures from their Legends of Lucha Libre ReAction Series . These three characters are some of the most well-known Mexican Luchadors. There's Blue Demon Jr. (in wrestling attire or in a blue suit), Solar (also in wrestling attire or a red suit), and Tinieblas Jr. (only in wrestling attire). All of these 3.75-inch scale figures can currently be purchased for $15.00 each. Head Down Arms was present at SHOT Show showing off all of their Cerakote capabilities as well as their newest rifle in “The Solutionary.” For those of you familiar with Maj Toure of the “Black Guns Matter” inner city, firearm educational movement he has teamed up with Head Down Arms and gotten his own black […] Read More … The post [SHOT 2019] NEW Head Down Arms “The Solutionary” & Cerakote Options appeared first on The Firearm Blog. 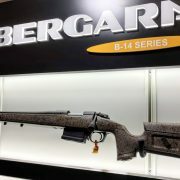 Bergera has been listening to their shooter base because for 2019 they have new desired caliber offerings, left-handed rifles, and new models available for the first time. Everything from their Timber and Woodsman up to their Ridgeback has had a discerning eye looked at it to give hunters more of what they want. Small changes, […] Read More … The post [SHOT 2019] NEW Bergera Calibers, Rifles & Left-Handed Choices appeared first on The Firearm Blog. 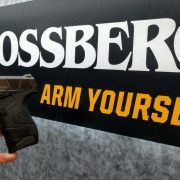 The talk of SHOT Show, and leading up to it, has been the NEW Mossberg MC1 sc 9mm perfectly suited for concealed carry. This is the 1st handgun that Mossberg has produced in 100 years. So aside from the fact that the MC1 sc 9mm is a solid carry option it has been forever since […] Read More … The post [SHOT 2019] NEW Mossberg MC1 sc 9mm Concealed Carry Pistol appeared first on The Firearm Blog. 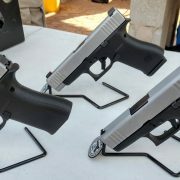 [SHOT 2019] NEW Glock G43X & G48 – Overwhelming Response! The “Industry Day at the Range” is often the most fun portion of SHOT Show because you have the opportunity to shoot firearms you either could never afford, are not legal where you live, or might not see on store shelves for a long time. With the already surging popularity of the Glock G43X and […] Read More … The post [SHOT 2019] NEW Glock G43X & G48 – Overwhelming Response! appeared first on The Firearm Blog. The name of this company is probably not familiar to many of you. 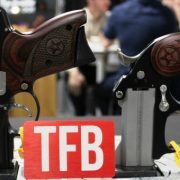 If you visit their booth at SHOT Show you’ll be surprised discovering that some of the very well known firearm brands are exhibited there. 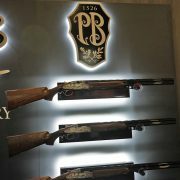 And the reason is that the Strategic Armory Corps is the parent company of the following five brands – […] Read More … The post [SHOT 2019] Strategic Armory Corps appeared first on The Firearm Blog. 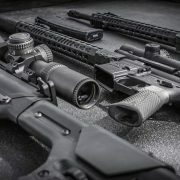 In this article, we’ll take a look at some of the new SIG Sauer products that were displayed at the company’s booth during the SHOT Show 2019 exhibition. Probably the coolest firearm in their booth was the new .338 Norma Magnum medium machine gun placed inside a glass display case right in the middle of the […] Read More … The post [SHOT 2019] SIG SAUER News appeared first on The Firearm Blog. 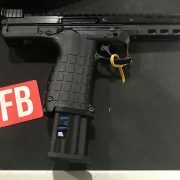 [SHOT 2019] Kel-Tec KS7 and CP33 Both Extended! 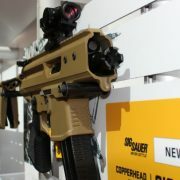 Kel-Tec has come out with two new firearms for Shot Show 2019. The CP33 and the KS7. KS7 The KS7 is an updated version of the KSG but it is single tube. This makes the KS7 about half the weight of the KSG. Kel-Tec also made the pump action smoother. 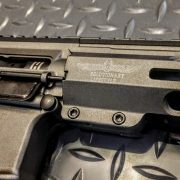 The KSG requires an aggressive […] Read More … The post [SHOT 2019] Kel-Tec KS7 and CP33 Both Extended! appeared first on The Firearm Blog.